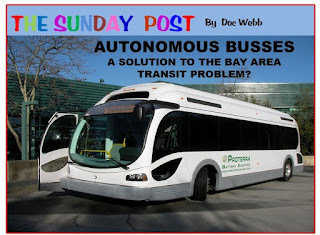 BAY POST INTERNET: Is the self-driving bus an option for Bay area public transit? Is the self-driving bus an option for Bay area public transit? Why would you build a billion-dollar bridge and include a 19th century transit solution? The light-rail lobby is once again poking its nose around the Tampa Bay area with FDOT, including a light-rail path on the proposed new Howard Franklin bridge. The problem is light rail is a last century technology, environmentally inefficient and single purpose limited. For example, take emergency evacuation. Quoting from Sharon Clavert from Eye on Tampa Bay: Drain the Regional "Swamp" Before Its Filled. “Expensive rail systems must shut down days before an approaching hurricane or major storm. Trains can do nothing to help any evacuation effort in Tampa Bay and it takes days or a week or longer after the storm for trains to come back in service. Would you ride a train across the bay if a storm was coming? A rail track is a rail track and nothing, but a train can run on it. We will pour millions into a single purpose, decades old, high-cost solution. 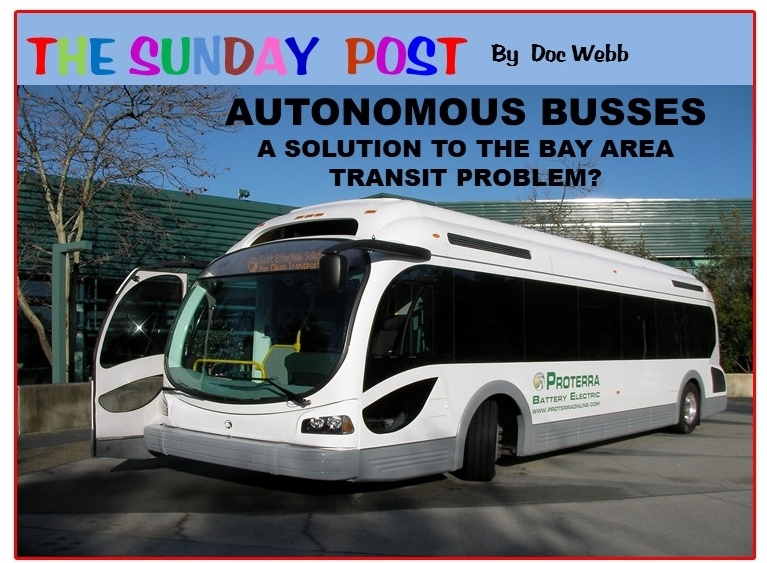 Another solution is well along in development – The Autonomous bus. Check out Aarian Marshall, Transportation: DON'T LOOK NOW, BUT EVEN BUSES ARE GOING AUTONOMOUS. A lane or lanes on the new Howard Franklin dedicated to autonomous mass transit vehicles would not only look into the future it would also provide flexibility in those moments when we need it most such as the ever-increasing need for evacuation. Dedicated roadways and autonomous vehicles make a lot more sense than dedicated rail paths. They allow for more flexibility, Uber like pickup, smaller stations, less taking of private property, lower overall cost and upkeep. As technology morphs the dedicated roadway can adapt much more easily and inexpensively to new advances. In the longer view, dedicated interstate and secondary road lanes for autonomous mass transit would meet the salivating needs of the relators and developers who put so much value in transit-oriented redevelopment. Let’s not waste the opportunity to solve the Tampa Bay Public Transit problem by taking a big leap into the past and build a bridge with a rail line that will usually be empty when we drive across the bay in our electric cars and automated vehicles while costing a fortune to operate and maintain. I for one do not want to drive over the “new” Howard Franklin bridge and look out the window of my self driving electric car at rusted rails and dilapidated semaphore signals.